If for any reason you are unsatisfied with MusicGlove hand therapy, you can return the device within 30 days. Shipping will always be free. Shipping is free to your door, and free if you choose to return. 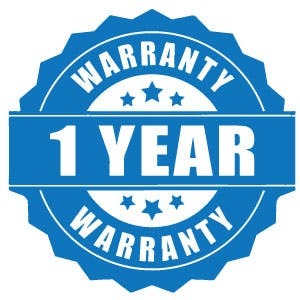 If anything goes wrong with your MusicGlove, we have you covered for one full year. 1. How much hand movement do I need? 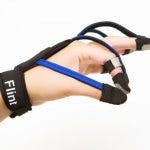 To use MusicGlove hand therapy actively without assistance, you need the ability to touch your thumb to at least one of your fingertips or side of your index finger — even just a few times in a minute. 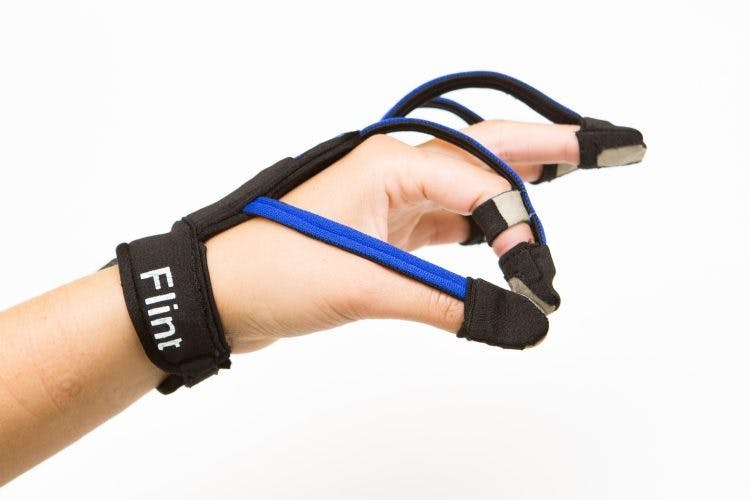 If you can’t make those movements, then you can use the device passively (learn about active vs passive exercise here) by using your unaffected hand to help make the grips. 2. What’s the right size for me? Refer to our sizing chart to find your perfect fit. If you want to print the chart, be sure that your print settings are set to ‘actual size’ so that your computer doesn’t change anything. 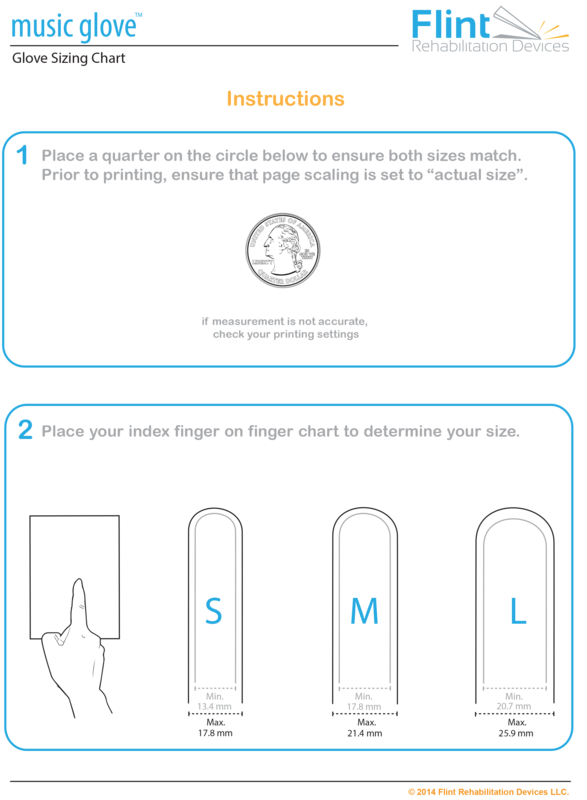 You can also compare your index finger to different coins to roughly determine your fit. You want the finger cots (the little pockets for your fingertips) to fit snugly. If you order the wrong size by accident, we will replace it for free! 3. Will it work on my computer? 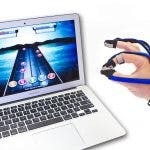 In general, MusicGlove will work on your computer if you have purchased a Mac or PC in the last 5 years. Below are some more specific requirements. If you are not sure if your computer is compatible, you can download and install our System Test application. If you see a screen that says “Your system is compatible” after running the program, then MusicGlove will work on your computer. Don’t have a computer? Want a more portable option? 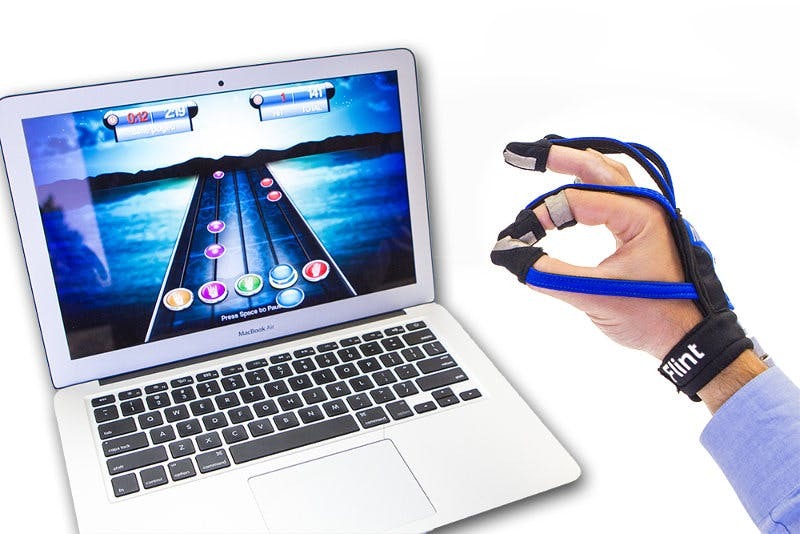 We offer a MusicGlove version that comes with a 10 inch tablet and it’s incredibly easy to use! Click here to view MusicGlove with a tablet. To learn even more about MusicGlove – including video testimonials, articles from around the web, our MusicGlove Recommended Regimen, and results form our clinical trials – visit our MusicGlove information page. 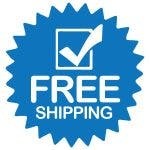 Shipping is always free with MusicGlove! We can only ship to the continental US, Hawaii, and Canada. Support is just a call away. Have questions? Speak with a specialist by calling us at 1-800-593-5468 or use our contact form to reach out to us. Returns are easy. If you are unhappy with MusicGlove for any reason, we offer a 30 day return policy – no questions asked. We even pay for return shipping! 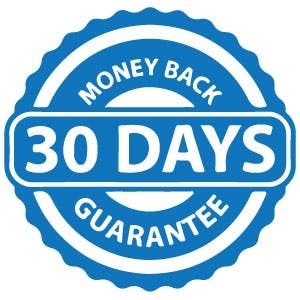 Simply call or email us before your 30 day window is up and we will send you a prepaid return label. 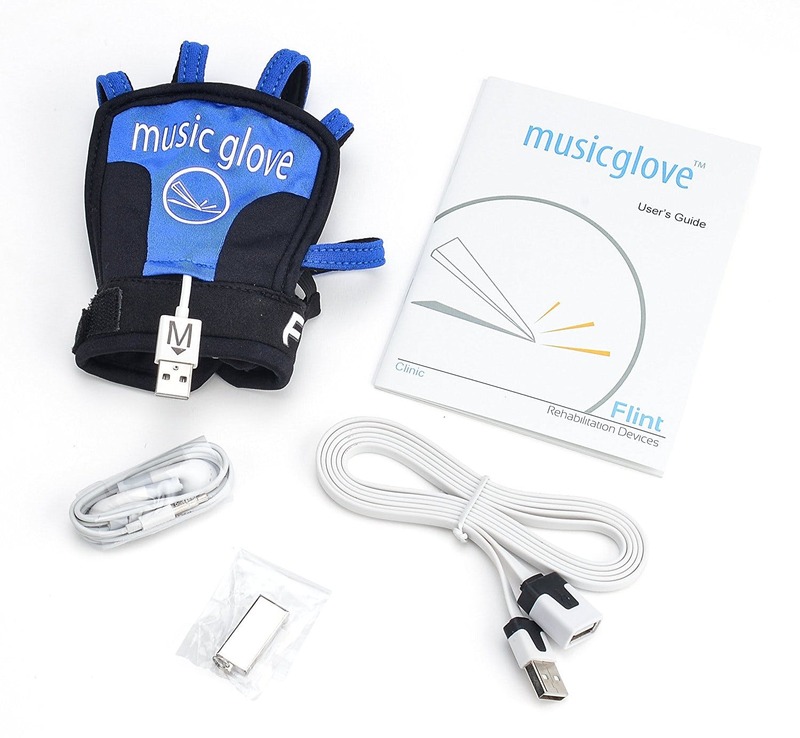 Ready to try MusicGlove hand therapy? Select your hand size and orientation above and complete the secure checkout process. You will receive your MusicGlove within 5-7 business days!